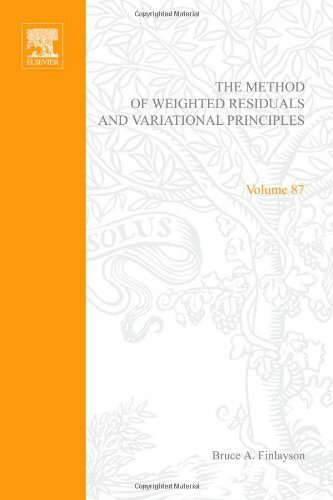 [PDF] The method of weighted residuals and variational principles, with application in fluid mechanics, heat and mass transfer, Volume 87 (Mathematics in Science and Engineering) | Free eBooks Download - EBOOKEE! Description: This is a book for people who want to solve problems formulated as differential equations in science and engineering. The subject area is limited to fluid mechanics, heat and mass transfer. While making no pretense at completely covering these subjects and their relationship to variational principles and approximate methods, the book is intended to give the novice an introduction to the subject, and lead him through the difficult research problems being treated in the current literature. No comments for "[PDF] The method of weighted residuals and variational principles, with application in fluid mechanics, heat and mass transfer, Volume 87 (Mathematics in Science and Engineering)".